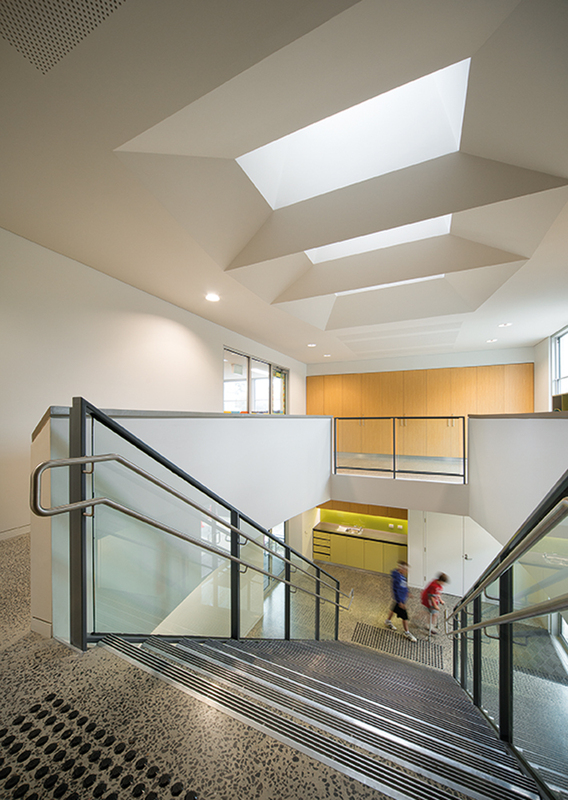 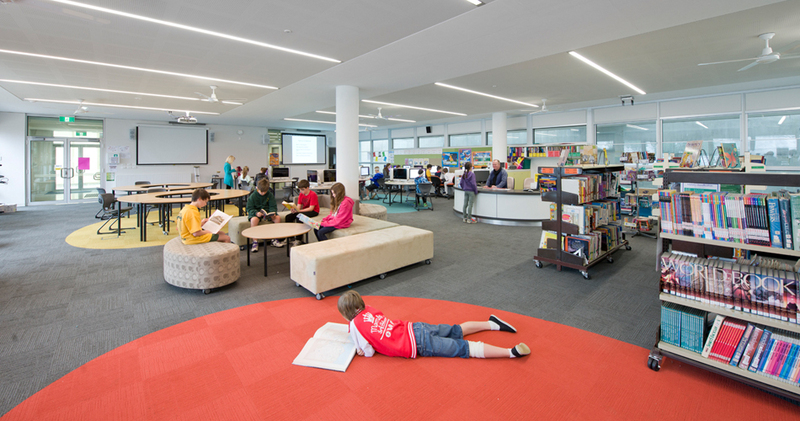 fjmt was engaged by the Victorian Department of Education and Early Childhood Development to design a new library and contemporary teaching spaces for the Eltham North Primary school. 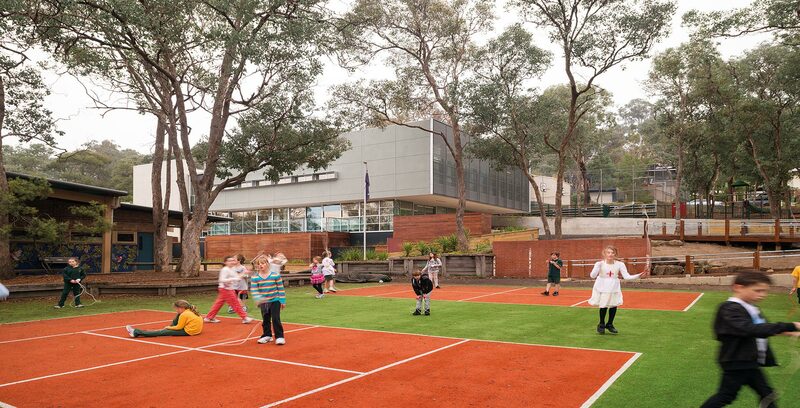 The brief also included an extension to the existing gymnasium space as well as new external play spaces. 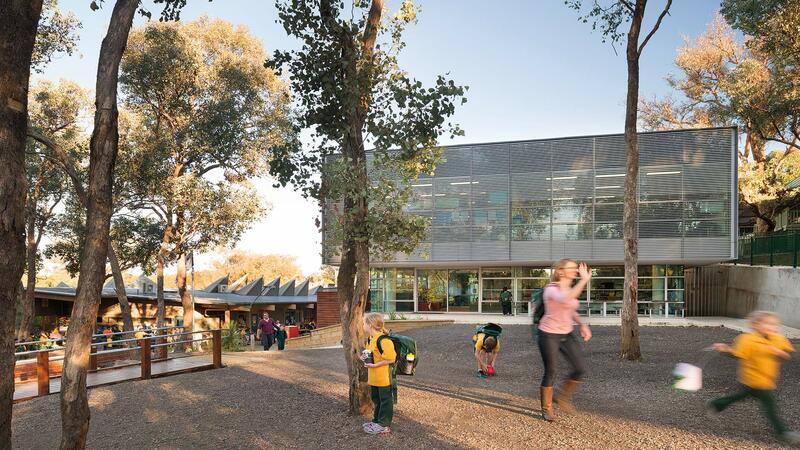 The school is located in hilly bush land settings on the outskirts of Melbourne and has a high sustainability agenda. 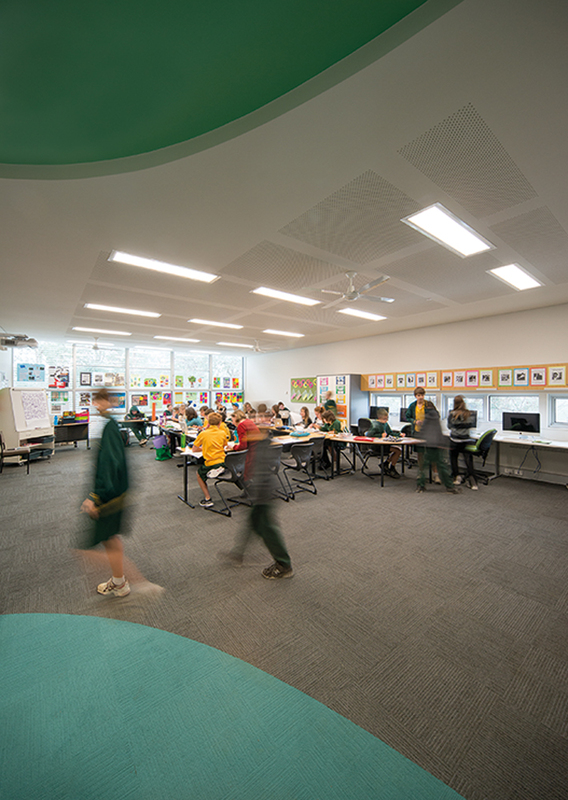 These factors heavily influenced the design of the project and great care was taken to ensure maximize utilization of environmental sensitive systems within the project and with the sitting of the new works to minimize disruption to the existing school surroundings. 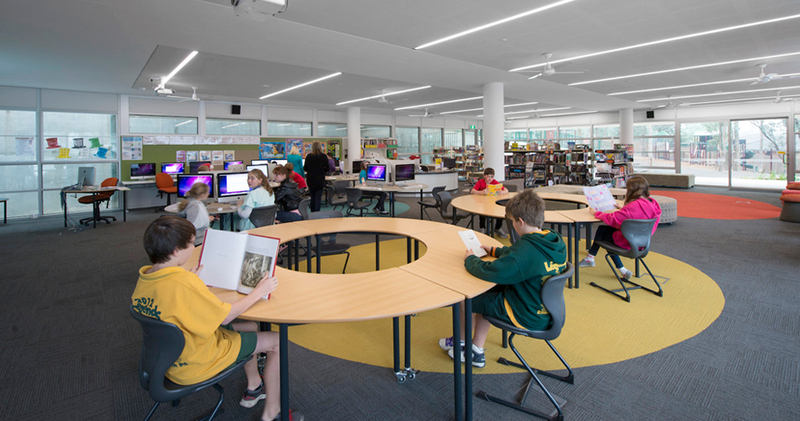 Innovative mechanical systems such a labyrinth and mixed mode displacement systems have been designed for the library and all materials selected are environmentally appropriate. 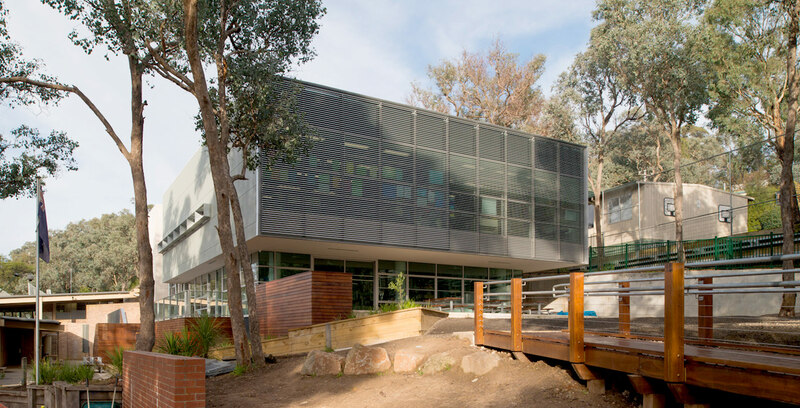 Contemporary teaching models have been catered for with fully flexible teaching spaces with outdoor learning courts and decks engaging with the heavily landscaped grounds.